White tea has been used for medicinal purposes for many centuries. While it has become common knowledge that white tea and other herbal teas are good for your health, there is now scientific backing for these claims. Whenever tea is mentioned, most people immediately think of green or black tea, yet white tea is actually the least processed and contains the most antioxidants. White tea is young green tea and amazingly, it has more collagen and elastin-protecting properties than any other tea. Elastin is a protein that keeps your skin flexible and firm, giving your skin a youthful appearance. On the other hand, an enzyme called elastase breaks down elastin, making your skin dull, sag, droop, and loses that youthful look. Amazingly, white tea is able to reduce elastase by almost 90%! That is good news for your skin! This healthy tea can help reduce your risk of cancer and improve your cardiovascular health, along with 6 other benefits. White tea contains compounds and antioxidants that could protect against cancer-causing cells, offering protection again colon, stomach, and prostate cancer. Flavonoids, which are a type of antioxidant, can inhibit the growth of cancerous cells and stop the development of new cancer cells. White tea can help reduce thickening of your blood, which in turn improves blood circulation and artery health. By drinking white tea, you can lower your blood pressure or maintain a healthy blood pressure level. This will naturally lower your risk of heart disease and stroke. Another example of how white tea can improve heart health is that it helps lower your cholesterol levels. Catechins, which are another group of antioxidants, are known to reduce cholesterol. White tea is full of these antioxidants—increasing your good cholesterol while decreasing your bad cholesterol. By lowering your blood pressure and reducing your cholesterol levels, white tea can promote better heart health. According to one study, people that drink at least two cups of white tea every day are 50 percent less likely to die after experiencing a heart attack. All you need to begin reducing your risk of cardiovascular disease, is to drink white tea. Drinking white tea may promote stronger bones. Several studies have concluded that drinking white tea can increase bone density and strength. The same nutrients that promote bone growth may help people that suffer from arthritis or osteoporosis. White tea contains strong antibacterial and antiviral properties. These properties can fight bacteria and viruses, killing infections and improving your immune system. Drinking white tea can help protect against the common cold and the flu, as well as ease symptoms related to HIV. As described above, free radicals are oxidants that attack your body. Along with damaging DNA and potentially causing cancer, free radicals can advance the signs of aging. Free radicals attack your skin, but drinking white tea that has high levels of antioxidants that will help neutralize them before they do further damage. White tea also contains trace amounts of fluoride and other minerals that could help protect your teeth and keep them healthy. Since white tea is able to kill bacteria, it can kill bacteria that cause plaque and tooth decay. Which Tea Should You Consume? 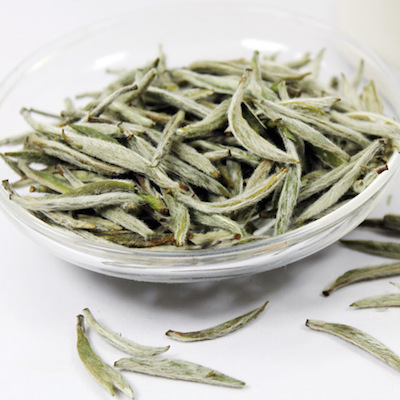 There are dozens of variety of white tea, but Bai Hao Yin Zhen (meaning “white-tipped silver needle”) is perhaps the most well-known Chinese white tea. The leaves and buds of the tea plant are hand-picked during harvesting. Only the first leaves and the unopened buds are picked, resulting in a sweet, aromatic tea that contains an abundance of nutrients. White tea is incredibly beneficial for your health. 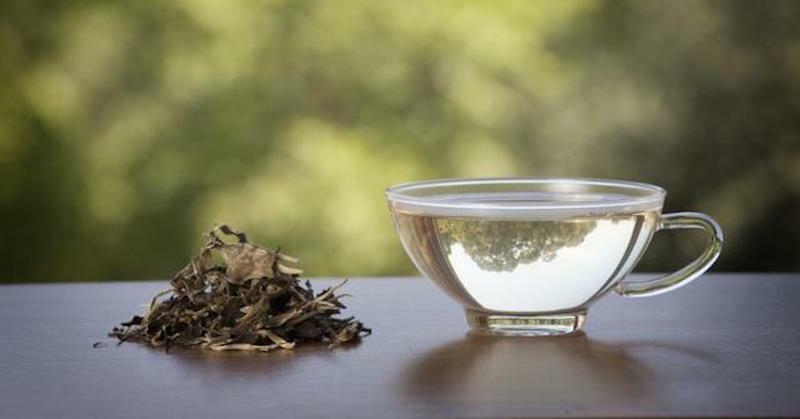 If you want to reduce your risk of cancer, cardiovascular disease, or enjoy any of the other health advantages mentioned, purchase some fresh white tea from your nearest health food store.